Street open for parking your classic car at 2:00 p.m. Registration is from 2-5 p.m. Judging of cars begins at 5 pm. Trophies awarded at 7:30 pm. 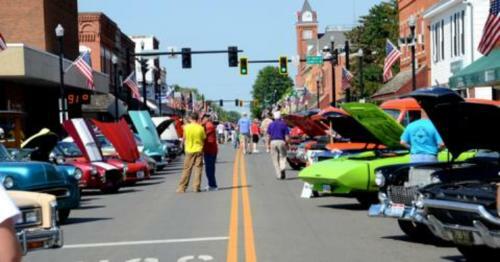 Festival ends with car cruise down South Main at 8 pm. All parked vehicles must be removed from Main Street by 8 pm. $12 Car Registration Fee ($10 Preregistration before May 31st).You can count on this classic car cruise-in every year on the Friday before Father's Day!